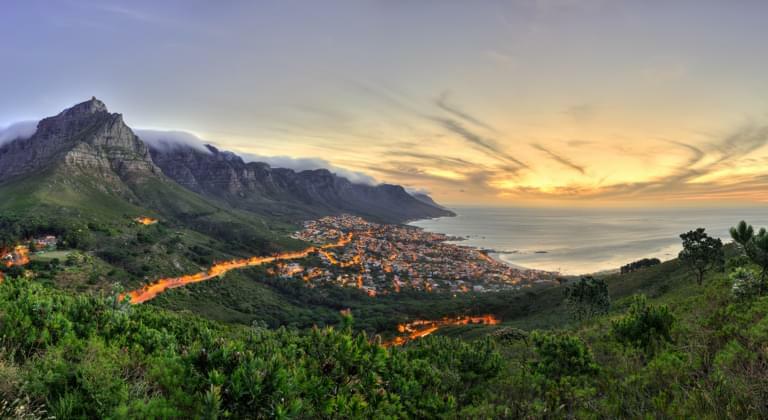 Holidays on the East Coast of South Africa: If you are planning to travel to Durban, it is definitely advisable to book a rental car in the city of Durban or at the airport. With doing so you can explore both the beautiful city and the extraordinary surrounding countryside on your own and enjoy your holiday according to your own rules, without restrictions on public transport and other aspects. Our price comparison Driveboo compares several car rental companies in Durban and the surroundings and ensures that you find the best car rental provider for you, based on your personal criteria, so that you can organize your stay in Durban independently from the airport. Durban is the third largest city in South Africa and is also known under its Zulu name eThekweni. The city itself also offers a variety of great sights, activities and places to visit, including many great beaches, surfing opportunities. You can also explore the famous uShaka Marine World theme park and an impressive cuisine that is influenced by a variety of cultures and therefore shines through its diversity. Once you arrive at Durban King Shaka International Airport, there are many ways to organize a rental car, and our portal will help you choose the service and car hire that's right for you. Since the airport is about 35 kilometres from the centre of Durban, a rental car is a particularly convenient and easy way to drive the distance to Durban directly after your arrival in your own car and to discover the surrounding area. While you can do this with your rental car stress-free, relaxed and in complete freedom. These sights are just a few of the highlights, however, and there is so much more to discover in Durban and the surrounding area, where a rental car gives you incredible freedom to travel, which would not be possible without it. You can also visit other cities in South Africa like Cape Town or Johannesburg. If you are looking for a rental car for your stay in Durban, then you are exactly right on our portal: Here you will not only find a suitable rental car service quickly & cheaply, but you can also rely on finding the best conditions. You alone decide, according to your personal ideas, which type of rental car you would like, whereby our comparison helps you to weigh up the different aspects which are decisive in deciding on a suitable service. Whether you are looking for a small car, prefer a mid-range car or just want to rent an off-road vehicle to explore the area around Durban - in our comparison you will certainly find your very personal dream car for your stay in Durban!